Three more governors are believed to have diverted the London-Paris Club refund, Economic and Financial Crimes Commission (EFCC) sources said yesterday. Governors have been pushing for the release of the third tranche of the refund. President Muhammadu Buhari is said to be weighing the request. Security reports allegedly indicted some governors of gross abuse of the cash. According to a source, who gave an update on the investigation of the refund, all suspects will be brought to book. The source said: “As part of the ongoing probe, we have traced diversion of funds to three more governors and their cronies. This is apart from two governors who have been fingered in such deals. 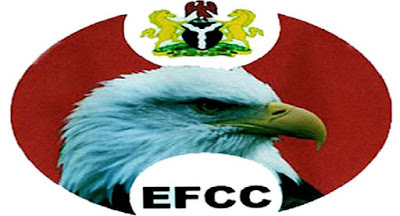 “Detectives have also uncovered another account opened by the Nigeria Governors Forum(NGF) where suspicious transactions related to the London-Paris Club refund have been found. According to the source, “more consultants have confessed that they were paid for jobs not done. “So, we have cases of diversion of public funds into private accounts under the guise of consultancy fees. This explains why salaries have not been paid in some states”, the source added. He went on: “We will release the details to the public very soon. All the suspects will certainly face trial. Those who have immunity will face the consequences, no matter how long it takes. “Already, one of the governors has forfeited N500million and another crony of the second governor has refunded $500,000 out of $3million linked to his account. Following protests by states against over deductions for external debt service between 1995 and 2002, President Buhari had approved the release of N522.74 billion (first tranche) to states as refunds pending reconciliation of records. The second tranche of N243, 795,465,195.20 was also disbursed to states in July. Minister of Finance Mrs. Kemi Adeosun said the payment of the claims would enable states to offset outstanding salaries and pension which had been “causing considerable hardship”. The governors had sought for the refund to states and local governments at a meeting with President Muhammadu Buhari on May 24, 2016. The Finance ministry said it was reviewing the impact of these releases on the level of arrears owed by the various states. The Senate plans to probe how the refund and bailout funds to states by Buhari were approved. The Senate’s decision followed a point of order raised by Sen. Samuel Anyanwu (PDP- Imo). Buhari is said to be weighing on whether or not to release the third tranche of the refund to states. A Presidency source said: “Although the governors agreed at the National Economic Council meeting to demand for the third tranche, the President has the final say. Advocates of true federalism have argued that the Presidency has no right to held on to the cash because it belong to the states. “The most feasible option is to impose stiffer conditions on how to access and use the refunds. There might be stiffer monitoring of the utilisation of the London-Paris Club cash,” a source said.